If there is one thing I love, it’s a cocktail or mocktail made with fresh juice and no added sugar. By making a cocktail with freshly-squeezed juice, you can add a little bit of wholesomeness to your next at-home happy hour. Plus, freshly squeezed juice adds a flavor profile to any beverage that simply cannot be matched by any store-bought variety. Think of all the fresh fruits or veggies that you could use! The best part about using fresh juice is that you can make it and store it in the freezer to save for later, or you can use it right away to enjoy a refreshing, seasonal beverage. I decided to make a super refreshing peach, orange and mint mocktail with a sugared rim. If you haven’t had fresh peach juice, it’s absolutely amazing, especially when made from peaches that are juicy and ripe. The orange goes very well with the peach and the mint adds the perfect touch of green freshness! 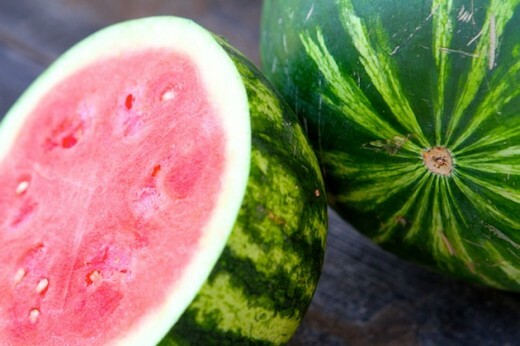 A good tip when using fresh juice for drinks is to use seasonal, fresh fruit. When shopping at the supermarket, think of fruits that compliment each other. I’m really starting to get excited for fall ﬂavors, and because there were so many pears at the grocery store, I couldn’t resist making a yummy juice with it. For the second juice recipe, I used pear, apple, pineapple, lime and my favorite fall spice, cinnamon. The pineapple still keeps it a little summery, and pineapple and cinnamon compliment each other well. And with a little splash of tequila, this cocktail is sure to impress! To make both the peach, orange and mint mocktail and pear, apple, pineapple, and lime cocktail, you’ll first have to juice your ingredients. 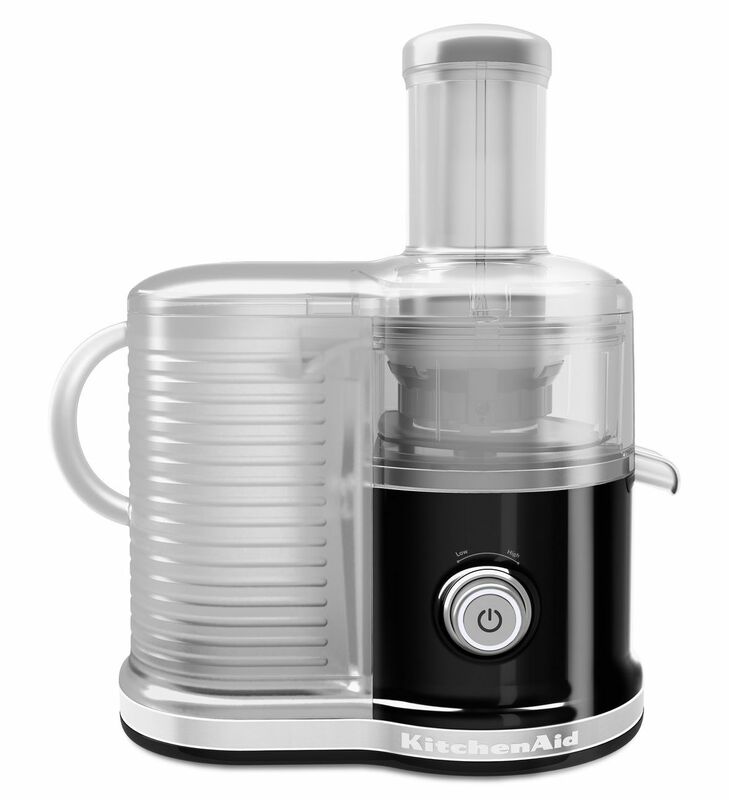 I love using my KitchenAid® Easy Clean Juicer because it’s a really smart juicing appliance. It comes with a 3-in-1 adjustable pulp screen that you can adjust to ensure you’re getting just the right amount of pulp in your juices. For this recipe, I used the low pulp setting because it mixes better with the alcohol to make the cocktail version. Simply add your selected fruits into the extra wide feed chute of your Easy Clean Juicer, set it to the high-speed setting, and juice away! And that’s it. The Easy Clean Juicer does virtually all of the work for you. Freshly-squeezed juice has never been easier to make at home. Once you have your freshly-squeezed juice for your peach, orange, and mint mocktail, throw the juice into a cocktail shaker with some ice and shake for 20 seconds. 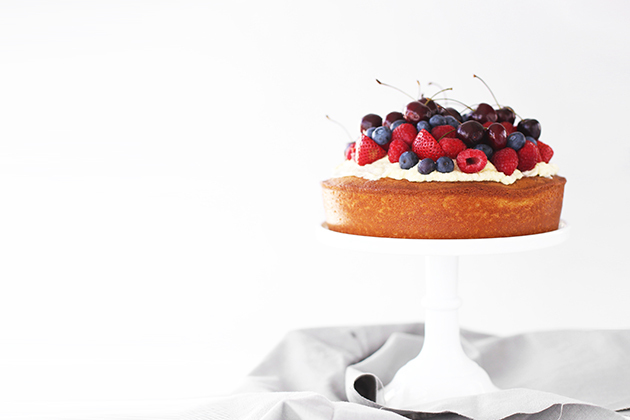 Then pour it out into a sugar-rimmed glass and garnish with mint. Just because you’re making a mocktail doesn’t mean you can’t serve your drink shaken. To finish your pear, apple, pineapple, and lime cocktail, add your freshly squeezed juice to a cocktail shaker with ice and add tequila. Shake for 20 seconds and pour out the cocktail into a sugar-rimmed glass and garnish with a cinnamon stick. I used tequila to make this cocktail for a nice transition from summer to fall. And there you have it, a refreshing cocktail (or mocktail) that you can serve at home easily. Be sure to use the fresh juice for your libations within the ﬁrst hour to ensure freshness, otherwise, freeze your juice to use it later. 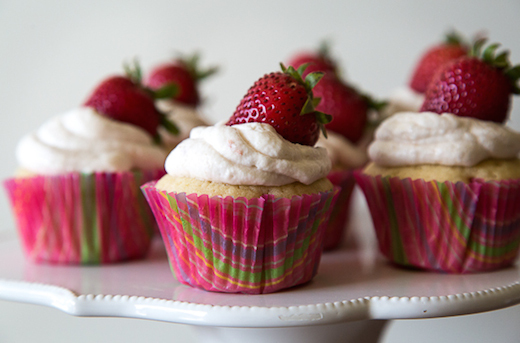 I hope you enjoy these recipes, and stay charming! 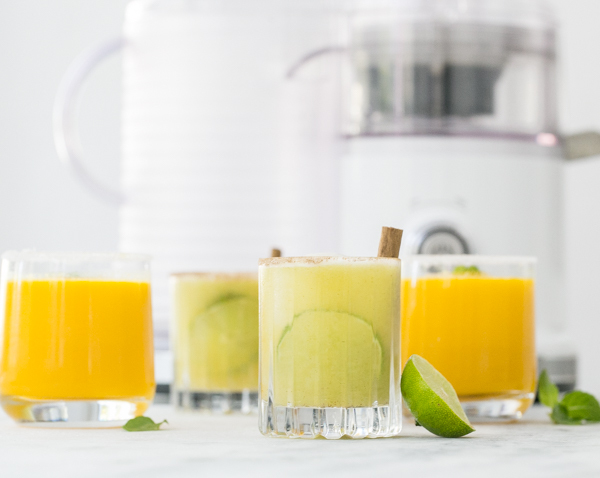 Share your take on this Freshly Squeezed Juice Cocktail (and Mocktail) recipe on Instagram using #MadeWithKitchenAid for a chance to be featured. Juice the peaches, oranges and mint together using the KitchenAid® Easy Clean Juicer using the low pulp setting and on the high-speed setting. Repeat this juicing process for your apples, pears, pineapple, and lime with a thoroughly cleaned Easy Clean Juicer. After juicing the apple, pears, pineapple, and lime, add 1/8 teaspoon cinnamon to the blend. Add the freshly squeezed juice into a cocktail shaker with ice, adding the 2 ounces of tequila if making the pear, pineapple, and apple juice cocktail, and then shake for 20 seconds. Garnish the rim of the glass with sugar and strain the juice over a large ice cube into a sugar-rimmed class. Garnish with a cinnamon stick (for the pear, pineapple, and apple juice cocktail) or a mint leaf (for the peach, orange, and mint juice mocktail) for extra color.